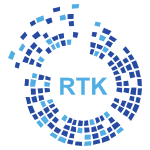 We’ve added support for RTK.IO: A leader in header bidding technology, RTK provides a platform for managing header bidding, real time bidding (RTB), and ad operations. From an integrated user interface, you can configure, install, and implement a complete header bidding solution across your sites while also leveraging real-time highly flexible analytics. You can take advantage of all of the advantages of header bidding with none of the hassle or middle men.